Upon arrival in Paris, students may select courses in English, French or both according to language ability and placement test results. Students must place into the Elementary level or above to enroll in lecture courses. Recommended semester credits are in parentheses. Courses are subject to change at the discretion of the CCFS. The Early Start Option is 2 weeks in length and takes place in Cannes prior to the start of the Fall Quarter and the Spring Semester in Paris. All levels of French are available. Fall quarter students take only French Language courses. Students that participate in the fall quarter with an early start in Cannes program are able to take the French course plus two additional credits. Students who place into beginner level can take up to two electives taught in English for a total of 16 credits. Students who place into elementary level or above can take up to two English electives or an English elective as well as one or two electives taught in French (equivalent to 14 or 15 credits). First year cours pratique in French grammar and writing practice for beginners and students with up to two years of college French. This course reviews basic grammar and further studies the foundations of the French language. Many complex grammar points are considered, giving students a solid background in the language. Classes cover vocabulary, grammar, composition and textual analysis. Students work on describing their feelings, on giving explanations, justifications and opinions. Events in the past and future are recounted with ease. French literature is introduced. Students taking this class work with professional documents and correspondence enabling them to tackle more complex themes while developing their analytical skills. They learn to advise, to debate and present a logical argumentation. French literature is studied and placed in its socio-historical context. Reviewing and perfecting vocabulary, grammar, composition and textual analysis. Taken in conjunction with a phonetics class. Perfecting techniques already learned and acquiring a more sophisticated written and spoken style. Taken in conjunction with a phonetics class. The French language course is always taught in conjunction with a Phonetic French course, the purpose of which is to give students a working knowledge of the language for everyday needs. Students are grouped together according to their French language level and according to common difficulties in pronunciation. Emphasis is on articulation at Beginner, Elementary and Intermediate levels. At Advanced level, students work on rhythm, continuity and intonation. In average, semester and quarter students take 5 hours of phonetics per week during 5 weeks for a total of 25 hours. The course enables students to understand the evolution of French art from the 17th to the 19th centuries, placing both artists and their works in their historical, social, financial and political context. Taking the notion of “the other” as a common thread, students are encouraged to consider those often excluded from the more mainstream examinations of the subject – foreigners, women and children – thus gaining a better knowledge of the social and cultural realities of the period. A course following growth patterns of the city from 13th c. to the 19th c., stressing history of art and architecture and takes students around the city. Recommended for first semester students below the upper intermediate level. Enrollment is limited. This seminar explores the various intellectual, historical, political and social trends in France as well as artistic currents and movements from the beginning of the 19th century through World War One; the mutual influences and interdependence between poetry, music, painting and literature in general will be studied as one of the important features of this period of time. From their first contact to the present, the peoples of America and France have enjoyed closed ties, be they political, artistic or literary. This course encourages students to explore these ties, considering how the people of each nation have influenced one another over the centuries, to produce some of the greatest works of music, literature and thought of modern times. What does it mean to be French? This is the key question raised in this class, the question of French “identity”. Through examination of migration and colonization, combined with visits to relevant museums, students consider the various cultures that coexist in today’s France, examining the challenges and issues that this “multiculturalism” poses for the modern French state. 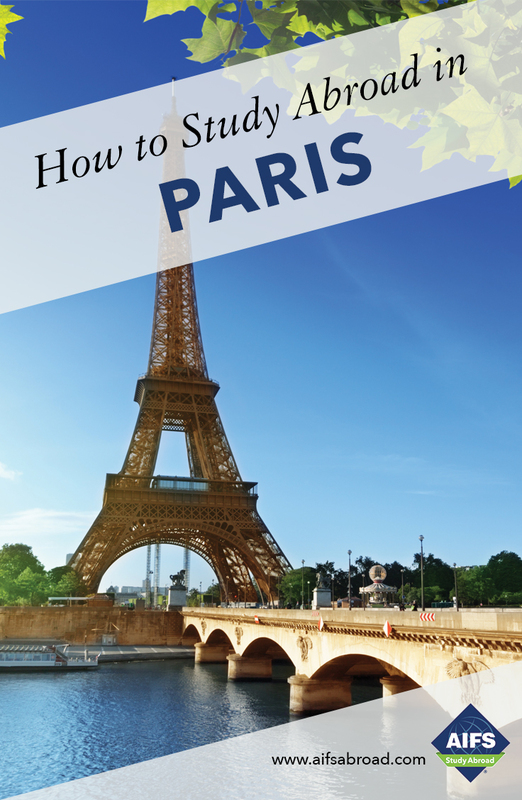 Through direct experience of Paris’s cultural heritage, this seminar introduces students to history of the city from its foundation to the modern day. Through visits to important museums and architectural sites, students discover the key moments of the French history, gaining not only a deeper understanding of the country but also a more intimate knowledge of its capital city and the cultural treasures it houses. From the 17th to the 20th centuries, a number of significant artistic movements, including Impressionism, Cubism and Surrealism, have made their mark on the history of art in Europe. Through examination of at least one major work each session, this course enables students to understand the evolution of these movements and their relationship to one another. Students are encouraged to visit museums such as the Louvre, the Musée d’Orsay and the Musée d’Art Moderne de Paris, in order to see the works for themselves and further explore the artists and periods discussed in class. This course take a chronological look at the French history and art from the Middle-Ages to the 20th century giving a broad overview of the events that have marked the French nation. Through consideration of major as well as little known 19th century authors, this course offers students the chance to familiarize themselves with the French literary styles of the 19th to 20th centuries. Students work from the original text and consider the lives of authors studied. Versailles is amongst the most significant monuments in France, not only for its historical importance as a palace and seat of power, but in modern times as part of the French tourist industry. Visitors have for centuries been impressed by the building as well as the institution and it is through examination of these visitor’s reactions to the palace that students gain an understanding of its role during both the Ancient Régime and under subsequent political systems. The course considers the relationship between poetry and song, examining not only their affinity but also the hybrid styles that modern cities have helped to evolve. At the end of the course, through direct contact with performers/authors, students will have live experience of the media studied. Through study of the most significant figures of art and literature from the 19th to the 21st centuries, students consider the defining trends of each era and their relationship to history. Male as well as female figures such as Maupassant, Sand, Claudel, Duras and Sagan are studied. Involving detailed reading an analysis of a number of key works, students consider the historical evolution of French theatre, considering how individual works emerged and how they were received by contemporary audiences. Extracts of recorded performances are viewed and discussed. Considering the relationship between the written press, the audio-visual world and politics, this lecture course provides students with a far deeper understanding of the French media. Students study written texts, radio and TV clips, advertisements and political communication. Following an initial introductory session outlining the birth of the French Republic, this course follows a chronological path through the consecutive governments of the 5th Republic. It examines the social, media and institutional stakes of French political life, enabling students to understand the most important questions facing modern France and its politicians today. Through consideration of some of the best known castles in the Loire Valley, this course aims to introduce students to art and architecture from the Romanesque to the Classical periods. Through examination of Parisian monuments that share similar stylistic features to buildings found in the Loire Valley, students learn to identify the key architectural elements of not only royal but religious and privately-owned edifices. Still used in Europe, North America and parts of Africa, the French language is travelled world, transporting elements of French culture with it. In this course, students consider the role that French plays in an international context, looking at how this role has changed from colonial times to the modern day. Fall semester and Spring semester students may substitute one of their elective courses at the Sorbonne for one of the courses listed below, if enrolled in two electives. Students receive transcripts or certificates authenticating work completed. These institutions vary in accreditation status. Students should confirm the status of credit transfer with their home institutions. The Institut de Langue et de Culture Françaises is a department of the Catholic University of Paris. It is a private institution recognized by the French Ministry of Higher Education. The transcript labeled ILCF, Institut Catholique de Paris lists the course title, class hours and the grade. The Schola Cantorum is a private music school in Paris. Links between fashion and artistic, cultural and socio-political contexts across French history are explored and the lasting dominance of Paris in the world of fashion is examined. Students become familiar with the historical evolution of the luxury fashion industry and learn to appreciate how fashion and accessories have been used to express a variety of different identities over time. Students pay some entrance fees for museums and exhibitions. Taught in English. Enrollment is limited. Placement is by examination, except for beginners. Instruction in French is at the student’s expense. Credit granted depends on the work produced and hours spent at the Schola. Instruments (except piano) are not provided. Students must pay a supplement depending on number of hours of instruction taken. Sessions are 30, 45 or 60 minutes.